Background: Dr Ramya Mohandass has been a visiting scientist and Associate Professor from SRM University on two separate occasions. 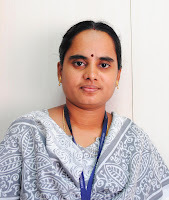 She also had a student from her laboratory (Krishan Sreenivas) come to conduct research for 6 months to produce a thesis on engineering heavy metal tolerance in algae. Dr. Ramya ha contributed to numerous areas of expertise in our lab including genetic engineering in Clostridia, Algae Biofuels (both eukaryotic and cyanobacteria) as well as ongong developments with CRISPR/Cas9. Ramya's Laboratory Web page. Devi, S.G., Fathima, A.A., Iyappan, S., Curtis, W.R., Ramya, M. Expression and characterization of alkaline protease from the metagenomic library of tannery activated sludge. Journal of Bioscience & Bioengineering. 2016 Jun 17. pii: S1389-1723(16)30120-7. DOI: 10.1016/j.jbiosc.2016.05.012.